Ogden Ford is the spoilt child of his wealthy parents. 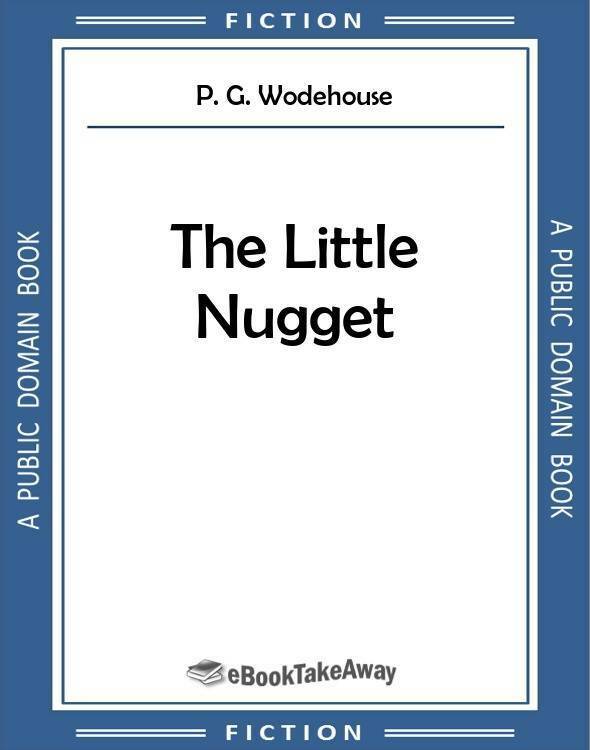 He is nicknamed 'The Little Nugget' because he would command a high ransom if he were ever kidnapped. Peter Burns gets embroiled in various attempts to kidnap the boy. If the management of the Hotel Guelph, that London landmark, could have been present at three o'clock one afternoon in early January in the sitting-room of the suite which they had assigned to Mrs Elmer Ford, late of New York, they might well have felt a little aggrieved. Philosophers among them would possibly have meditated on the limitations of human effort; for they had done their best for Mrs Ford. They had housed her well. They had fed her well. They had caused inspired servants to anticipate her every need. Yet here she was, in the midst of all these aids to a contented mind, exhibiting a restlessness and impatience of her surroundings that would have been noticeable in a caged tigress or a prisoner of the Bastille. She paced the room. She sat down, picked up a novel, dropped it, and, rising, resumed her patrol. The clock striking, she compared it with her watch, which she had consulted two minutes before. She opened the locket that hung by a gold chain from her neck, looked at its contents, and sighed. Finally, going quickly into the bedroom, she took from a suit-case a framed oil-painting, and returning with it to the sitting-room, placed it on a chair, and stepped back, gazing at it hungrily. Her large brown eyes, normally hard and imperious, were strangely softened. Her mouth quivered. The picture which had inspired this exhibition of feeling would probably not have affected the casual spectator to quite the same degree. He would have seen merely a very faulty and amateurish portrait of a singularly repellent little boy of about eleven, who stared out from the canvas with an expression half stolid, half querulous; a bulgy, overfed little boy; a little boy who looked exactly what he was, the spoiled child of parents who had far more money than was good for them. As Mrs Ford gazed at the picture, and the picture stared back at her, the telephone bell rang. She ran to it eagerly. It was the office of the hotel, announcing a caller. She returned to the portrait. The look of impatience, which had left her face as the bell sounded, was back now. She suppressed it with an effort as her visitor entered. Lord Mountry was a blond, pink-faced, fair-moustached young man of about twenty-eight-a thick-set, solemn young man. He winced as he caught sight of the picture, which fixed him with a stony eye immediately on his entry, and quickly looked away. Mrs Ford's voice was startled. His lordship, who had selected a chair that enabled him to present a shoulder to the painting, and was wearing a slightly dogged look suggestive of one who 'turns no more his head, because he knows a frightful fiend doth close behind him tread', forced himself round, and met his gaze with as much nonchalance as he could summon up.